The John Gosden-trained Too Darn Hot remains unbeaten after the G1 Dewhurst Stakes. Too Darn Hot has kept his unbeaten record intact with his win in England’s premier two-year-old race, the Dewhurst Stakes at Newmarket. The John Gosden-trained colt went into the race on Saturday (Sunday AEDT) as favourite and got the job done in scintillating style. Christmas, the outsider of three runners for Aidan O’Brien, ensured the pace was sound, with his stablemate Anthony Van Dyck and Martyn Meade’s Phoenix Stakes hero Advertise his two closest pursuers. Advertise and Anthony Van Dyck moved on, but once in clear daylight, Too Darn Hot rocketed home and Dettori was even able to salute the crowd as he passed the post with 2-3/4 lengths in hand over Advertise. “I’ve been trying 30 years to win this race,” Dettori told ITV Racing. “He’s an amazing horse and in the end I was struggling to ease him down. “He’s had three easy races and today he was getting knocked about and running in snatches. For a minute I thought I was in trouble and then the turbo kicked in. 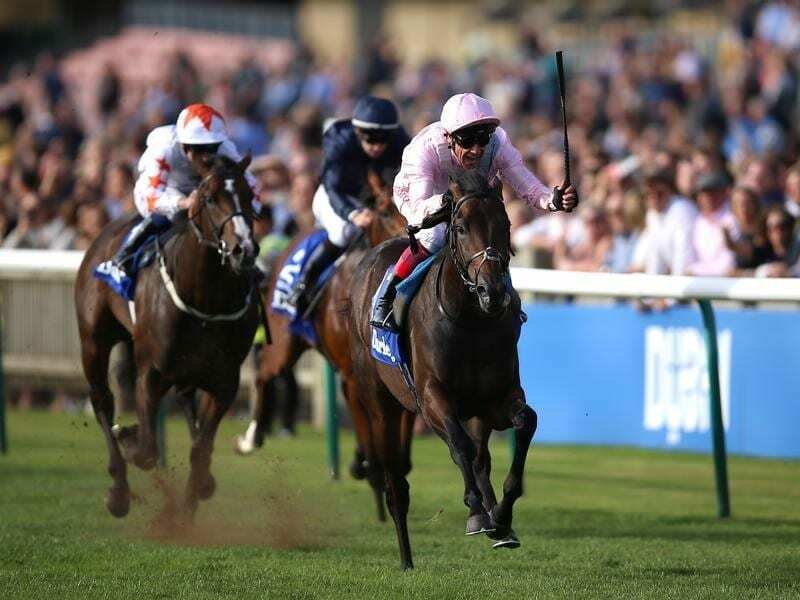 Too Darn Hot was cut to as short as 5-4 for next year’s 2000 Guineas and Gosden is looking forward to his return to the Rowley Mile next spring. “It would be lovely to come back for the Guineas. He is blessed with an awful lot of speed,” he said. “He is a fabulous two-year-old, he really is and if he is in good form ahead of the Guineas we will go for it.